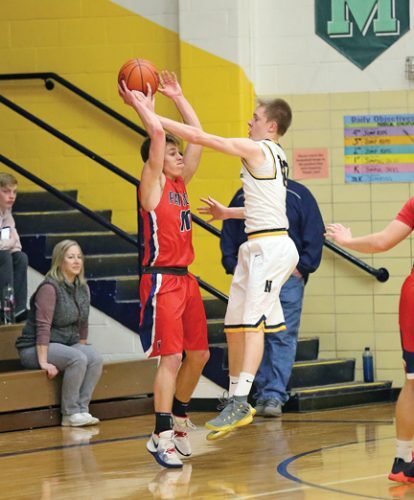 GWINN — The Westwood boys put up their most points of the season, dropping Gwinn 71-48 in a high school basketball game played at the Modeltowners’ gym on Wednesday. Big offensive nights were turned in by Patriots’ junior foward Taylor Dellangelo with 19 points, senior guard Nathan Beckman with 17 and junior guard Ty Alderton with 13 as their team improved to 11-6. Westwood’s single biggest outburts was in a 25-point second quarter that allowed the Pats to go up 37-16 at halftime. Gwinn head coach Jim Finkbeiner said his defense disappeared in the second quarter, which ultimately cost his team. “We played a really good game in the first quarter,” he said. 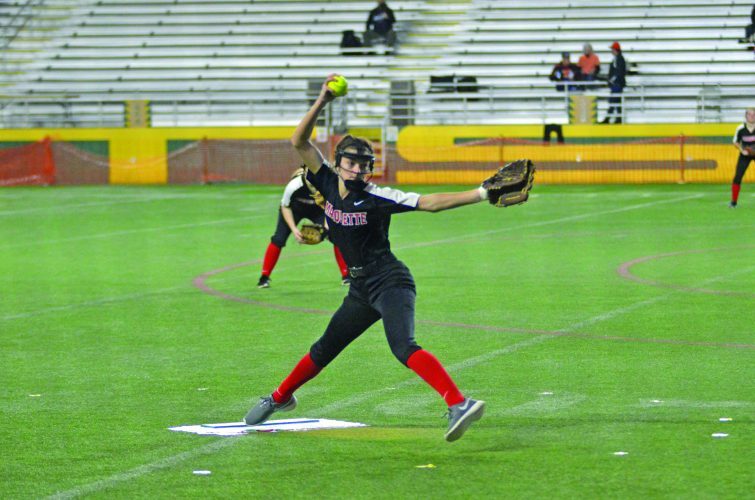 “Then in the second, our defensive pressure just wasn’t there. We allowed too many easy buckets and ‘and-1’ plays and didn’t get any good looks ourselves. Senior forward Tucker Taylor led the Modeltowners (5-11) with 23 points and 13 of Gwinn’s 19 rebounds. Westwood visists Calumet (13-3) tonight while Gwinn hosts the Copper Kings on Friday. 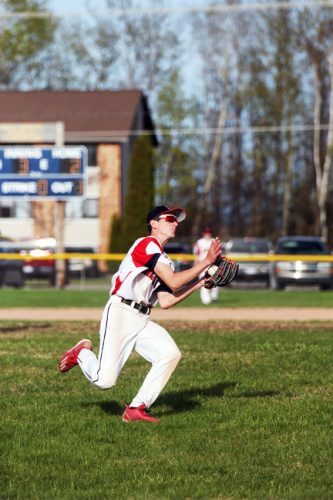 At Gladstone, the Miners got revenge for a loss to Gladstone they suffered at home earlier in the season. Negaunee jumped out to a 32-13 halftime lead. 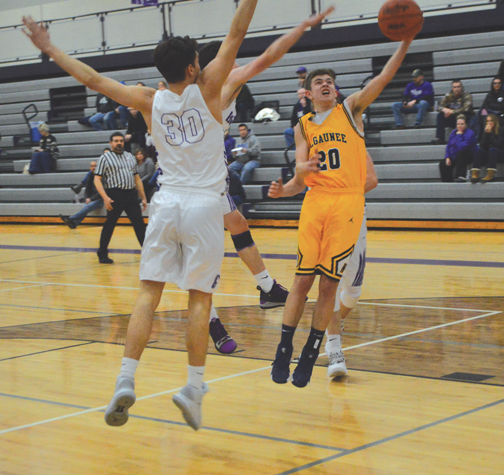 Negaunee (10-6, 8-4 Mid-Peninsula Conference) limited the Braves to 10 points in the opening quarter for an 18-10 lead as Gladstone found it difficult to break the Miners’ defense. The Braves (9-7, 7-4 M-PC) were hard-pressed in the second quarter, too, because of an amplified Miners’ defense as they scored just three points in the quarter. Negaunee stumbled a bit on offense in the third as Drew Lindberg was its only player to score. But both teams were limited in scoring and the Miners still led 41-29 entering the fourth. Lindberg led Negaunee with 19 points while Jason Waterman added 16. Castor led the Braves with 11 points. Negaunee, which won the JV game 59-58, hosts Marquette today. At Iron River, James Swanson’s lay-up in the final minute lifted the Wykons in this West PAC game. The Hematites held a 40-39 lead in the fourth quarter after a Gavin Sundberg basket. Then WIC (8-6, 5-4 West PAC) evened the score at 40 with a Nathan Thomson free throw with 1:18 left. The Swanson bucket off a Caden Pellizzer pass in the final minute broke that tie. After Brayden Nelson rebounded a missed Hematite shot with 29 seconds left, the Wykons sealed the game when Peyton Williams scored off an inbounds pass from Thomson. 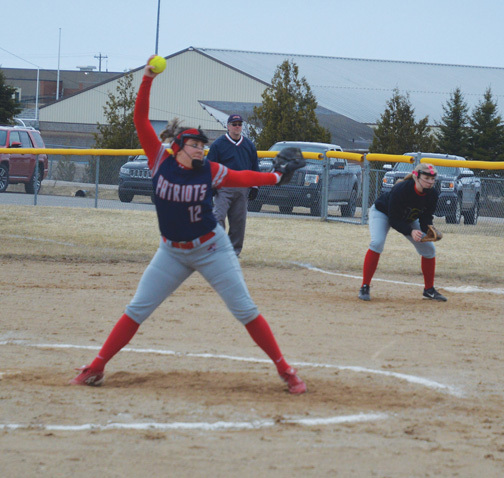 “That was all eye contact,” WIC coach Dan Schive said of the Thomson-to-Williams play. Swanson led the Wykons with 13 points but Schive was also impressed with the senior holding Ishpeming’s 6-foot-7 Darius Yohe to nine points. Pellizzer added 12 points and Williams had 10 for the Wykons. Jacob Kugler’s 14 points led the Hematites. The Wykons, who also won the JV game 35-21, host L’Anse on Friday. 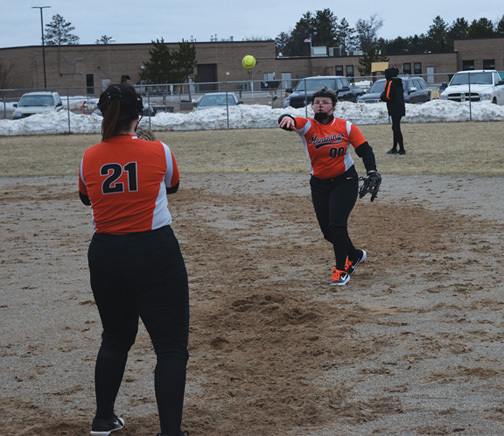 Information compiled by Journal Sports Writer Ryan Spitza with contributions from the Escanaba Daily Press and Iron Mountain Daily News. Email Spitza at sports@miningjournal.net.